This egg hatches a plant! The precious Eggling looks like an extra-large egg, but crack it and discover a garden ready for sowing! 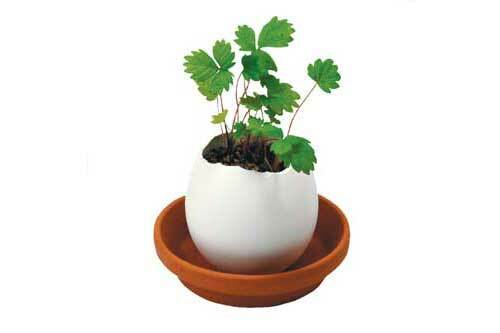 The Eggling is made in Japan of white bisque and comes with peat mixture and seeds already inside, as well as a terra cotta tray and extra seeds.